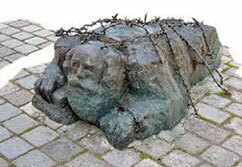 Niemals vergessen - never forget! 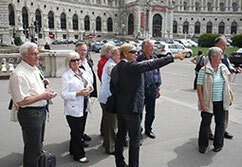 There are few European cities whose history is as closely connected with Jewish history as Vienna. 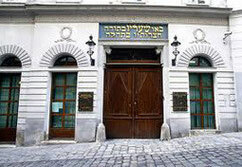 Follow me and learn more about the jewish heritage in Vienna. Until 1938, Vienna had a flourishing Jewish community with dozens of synagogues and prayer houses. The prevalent anti-Semitism of the time provided fertile grounds for the racism and terror of the Nazis, which started immediately after the occupation of Austria by the German Wehrmacht in March of 1938. Any Jew who owned something, was robbed: through “Aryanization,“ his property came into the possession of the state or of private persons who could “buy” at low prices. 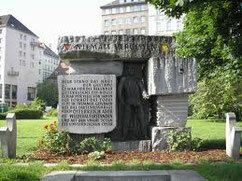 Both as famous as Sigmund Freud or as modest as a shoemaker or homemaker, 140,000 Austrian Jews had to flee the country for “racial reasons”; 65,000 who could not escape were murdered. 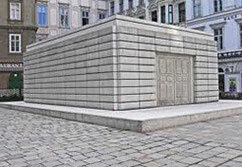 This tour will cover the Museum at Judenplatz (optional visit - with the subterranean remains of a medieval synagogue), the Holocaust Memorial at Judenplatz, the Memorial against War and Fascism at Albertinaplatz. As well we will take a look to the square where Hitler anounced the Anschluss in 1938 (Heldenplatz) and I will show you the only synagogue, which was not destroyed in the so called "Reichskristallnacht".